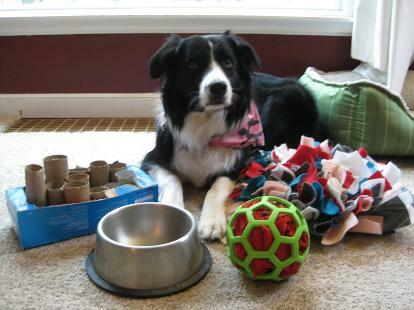 Enrichment: "to improve or enhance the quality of"
Canine Enrichment: improves your dog's mental capacity and enhances his understanding of his relationship with you and the world around him"
Is it too wet or too hot for a walk? Is your dog recovering after an operation? 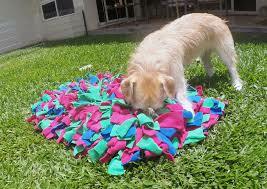 Do you simply want a fun way to mentally tire and stimulate your dog when physical exercise just won't seem to? 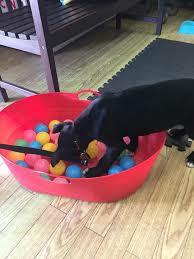 Over 2 sessions, we explain the importance of enrichment for dogs, and provide you with a variety of ideas to provide your dog with new and stimulating activities to grow their confidence.... and your relationship! This course is open to dogs of all ages including young puppies. How many puppies/dogs will be on the course? There will be a maximum of 7 puppies/dogs with 2 trainers per group to teach and coach. Does my dog need previous training to attend? Puppy School and Fun Obedience courses. Bradley Green Village Hall (B96 6RW) click here for further information. £31.00 for the 2 week course including printed handouts of all the exercises covered. * Complete and submit form below. * We will be in touch shortly with payment details. * An email confirmation including what to being with you for the course will be sent.